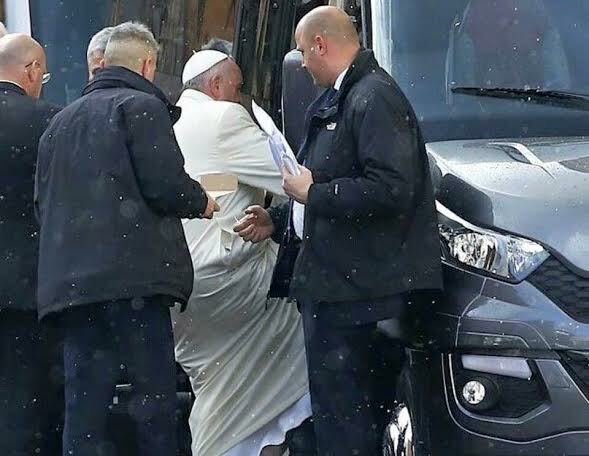 Yesterday afternoon, Pope Francis departed to participate in his annual Lenten Spiritual Exercises at Casa ‘Gesù Divin Maestro’ (the Divine Master House) in the town of Ariccia near Rome. For a week, the Holy Father will remain there praying with with members of the Roman Curia. During his Sunday Angelus address, the Pope asked the faithful to pray for him and those who will be with him participating in the week long retreat. At 4 p.m., he and the Curia members got on their bus and by 6 p.m., they had arrived. Meditations this year have been entrusted by the Pope to Father Ermes Ronchi of the Order of the Servants of Mary. The preacher will propose a series of reflections around the theme “The bare questions of the Gospel,” from a passage of John’s Gospel: “Jesus turned and saw them following him, and said to them: What are you looking for?…” ( Jn 1, 38). Fr. Ronchi will pronounce nine reflections in total and they generally will be held twice a day at 9 a.m. and 4 p.m. They will all look at answers to questions in the Gospels. “Mary said to the angel, ‘How can this be?’” (Luke 1:34). The activities of the Pope and members of the Curia will include morning and evening prayer, Eucharistic adoration and prayer. The retreat will conclude on the morning of Friday, March 11th. Until then, all of the Pope’s activities, including the weekly General Audience are suspended. Originally, the Spiritual Exercises took place in the Vatican, but Pope Francis moved them to the retreat house outside of Rome.